Wage and hour collective and class actions pose the greatest employment litigation threat to American businesses today. Federal court filings of wage and hour lawsuits have increased more than fourfold since 2000--from less than 2,000 per year to almost 8,500 in 2017--far outpacing all other types of employment litigation. Most of these cases are brought as collective or class actions, many commanding settlements and resulting in verdicts often costing defendants millions, if not tens of millions, of dollars. These statistics do not include state court filings of similar claims under state and local laws that are particularly prevalent in California and other states with strong wage and hour laws. 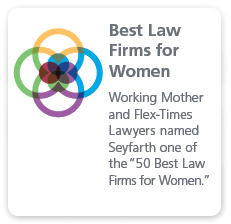 Seyfarth Shaw’s defense of employers in wage and hour litigation has become one of the hallmarks of the firm’s nationally recognized Labor & Employment Department. Our Wage & Hour Litigation Practice Group includes more than 100 attorneys who devote a substantial portion of their practice, if not their entire practice, to the defense of these cases. We have represented employers in hundreds of collective and class actions during the past two years alone, raising every conceivable type of wage, hour, and pay practices claims. These include allegations of exempt misclassification, independent contractor misclassification, off-the-clock work, improper calculation of the regular rate and overtime pay, minimum wage violations, missed meal and rest breaks, donning and doffing time, pay for pre- and post-shift activities, and a host of other alleged pay practices violations. When it comes to defending employers in wage and hour collective and class actions, we literally wrote the book on the subject. Our treatise, Wage & Hour Collective and Class Litigation (Law Journal Press 2012, last updated 2018) is recognized as the definitive resource on this subject and is commonly used by lawyers, academicians, and judges in researching the many complex and evolving procedural and substantive defense issues that may ultimately determine case outcomes. 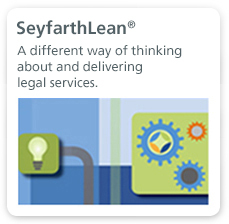 Seyfarth Shaw’s Wage & Hour Litigation Practice Group has also published other authoritative resources, such as guides to wage and hour laws in California, Illinois, and Massachusetts. Together with our blog (www.wagehourlitigation.com), management alerts, and webinars, these treatises establish us as the most reliable management thought leaders in this area. Most importantly, we put our thought leadership to good use in our approach to the defense of these cases for our clients. We shape our defense strategy to the particular goals of each client, the type of claims asserted, and the potential impact and risk of those claims on a client’s business. Our approach is to work closely with our clients to develop a defense that meets our clients’ needs efficiently and cost effectively. 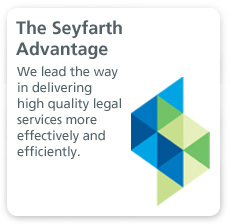 This approach allows us to be extremely effective at defeating or minimizing exposure from potentially high-risk cases and developing appropriate "exit" strategies that combine our litigation, mediation, and audit capabilities. When trial becomes necessary, we have experienced wage and hour trial lawyers who know how to present our clients’ defenses to a jury or judge.